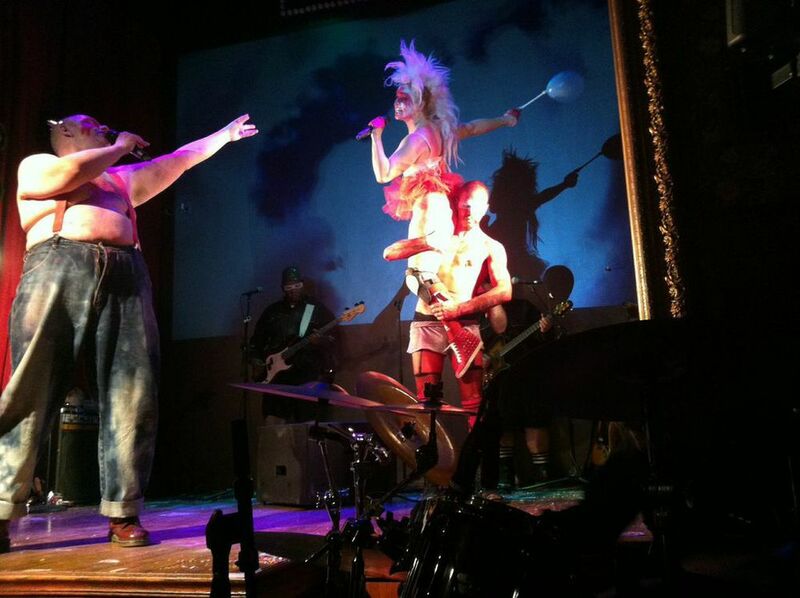 Ubu Sings Ubu is a theatrical mash up of Alfred Jarry’s absurdist satire Ubu Roi and the art punk songs of the cult experimental band Pere Ubu. 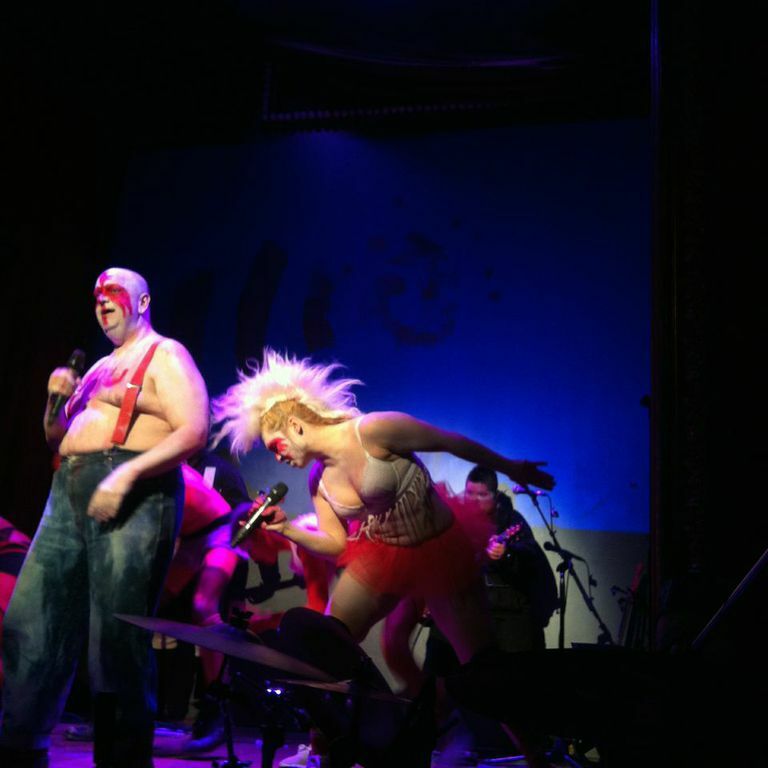 Starring Tony Torn and Julie Atlas Muz as Pa and Ma Ubu- Performed at Abron's Art Center and The Slipper Room. Co-directed and choreographed by Dan Safer. Adapted and Co-directed by Tony Torn. Featuring a new version of Jarry's text from a Google Translation of the original French. Video design by Kaz Phillips Safer. Sets and costumes by Deb O. Lights by Jay Ryan Sound design and musical direction by Vera Beren. Merdreturgy by Nicole Peyrafitte. With THE UBU SINGS UBU BAND: Vera Beren (Queen Rosemund of Poland/Keys/Theremin/Backing Vocals), Emmitt Joe George* (Captain Edge, Bass, Backing Vocals), Matt Butterfield (Prince Bougrelas of Poland, Guitar, Backing vocals), Patrick "Paddymyke" Conlon (King Weneslas of Poland/Drums/Backing Vocals), Dan Safer (Bear), Katie Ingram and Sarah Rahman (Ubettes). Songs by Pere Ubu.